The American artist Janet Echelman specializes in large public art installations and sculptures. In Bed with Lucy and Dolly. Simon Scheuerle uses a wide variety of everyday materials to produce his objects and installations. 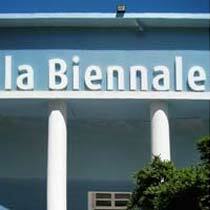 The probably most exiting exhibition for modern and contemporary art in the world. Multi-Artist Widera works as a painter, photographer, digital artist, sculptor and designer. P. Schwietzke, Member of the successful school of K.O.Götz, brings different artistic movements together. Reflections on US-artist Shari Pierce's Agraphobia. Things are not what they seem. Murakami and the difference between childlike and childish. In his photographies Franciso Navarrete Sitja shifts between painting, drawing and digital images. A list of contemporary artists. Selected contemporary pieces of art, recommendet by our stuff. The worlds most important art fairs and events. Who is Who in contemporary art? A list of contemporary artists. A selection of pieces of ort of contemporary photographers. Contemporary-Art.com is a website devoted to contemporary art. It is a preferred destination for art-collectors, art-galleries, art-dealers, artists, curators, consultants, architects, interior designers and art lovers. At Contemporary-Art.com you can find and buy all kind of contemporary pieces of art, art for sale in a wide variety of mediums and an extensive range of styles. Amoung our partners are leading galleries and art-dealers, our vendors offer only original work and prints. 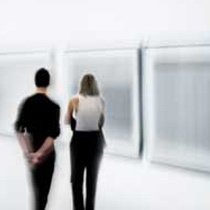 Contemporary-art.com gives you a great opportunity to compare art and get original contemporary art at reasonable prices. Beside we offer valuable informations like art-news and art-events. We cooperate with artists.de, one of the largest art-platforms in the world. contemporary art, contemporary-art, contemporaryart, art-contemporary, art, contemporary, modern art, art-portal, contemporary art gallery, contemporary art informations, art calendar, art-events, feeds, publish, press release, new art, art-positions, art-show, art shows, art-fair, art-fairs, international art, art site, art investment, art investor, fine art, online-gallery, gallery, galleries, Art Appraisals, Art Auctions, Art Books, Fine Art Directory, Fine Art Guide, post war art, exhibition, exhibitions, museum, auction, collector, critic, curator, artist, prize, top art, top artists, art-gallery, artists, ranking, rankings, award, portfolio, art guide, blog, modern, art info, art information, famous artists, buy art, sell art, buy art online, art dealer, art sale, informer, art-news, curated art, curated artists, curator, worldwide, international, free, comment, share, news, original art, artwork, piece of art, painting, drawing, print, sculpture, photos, photographs, professional art profile, artists portfolios, art-links, art marketing, art public relations, art-pr, art of the present, art community, art since 1945, art since world war 2, post war art, after war art, art after 1945, today art, art of today, buy art online, international art, art space, art spaces, art room, vernissage, artmarket, art market, online art-market, vernissages, opening, invitation, art-consulting, art-consultant, artist, artists, painter, sculptor, photographer, concept, installation, printmaker, performance, buy art, buy pieces of art, piece of art, artpiece artwork, contemporary artists, contemporary artist, contemporary art fair, artfair, art event, fine art, fine arts, print-maker, painter, sculptor, photographer, new art, modern art, contemporary art portal, art calendar, events, feeds, press release, gallery, museum, auction, collector, critic, curator, artist, prize, award, portfolio, art guide, modern, worldwidet re, international, free, news, professional art, art community, review, preview, art gallery, online art gallery, onlinegallery, happening, biennale, artshow, art aasonnable prices, sale, offer, international art, international artists, order, buy. Images: Simon Scheuerle, Franco Meloni, Michael Beck, Minon, Angel Pastor, Roberto Roseano, Jack Radclffe, Stephan von Vegesack, Fumie Kihara, David Fried, Gavingo, Takashi Murakami, Paul Schwietzke, Stephan Widera.